Youth Forum campaign – LoveYouthFuture – time for the EU to show its love to young people – "The Europe we want is for all ages"
The European Union is now, more than ever crucial to young people. The EU brings benefits to young people, helps ensure their rights and is open to having young people’s voices heard; indeed young people are the most positive age group towards the EU. However, it is the view of the European Youth Forum that, in the rush to emerge from the crisis, young people’s rights are being overridden – their situation is not improving. For example, over 5.4 million young people (under 25) are unemployed in the EU – a figure which is remaining stubbornly high as the EU exits the crisis. We in the Youth Forum believe that now the EU needs to make a strong stand for young people. We have therefore invited candidates, through its LoveYouthFuture campaign, to pledge to young people that they have a decent future. 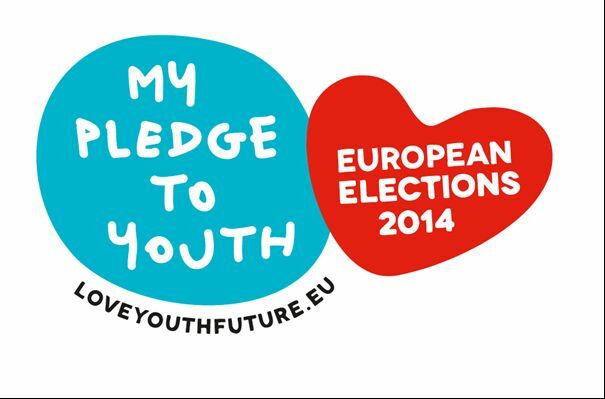 The pledges, 11 in total, highlight the importance of Europe as a solution to the problems facing its youth. The pledges include protecting young workers, volunteers and interns, providing all young people with the opportunity to have a quality education, fully implementing an improved Youth Guarantee scheme, encouraging the free movement of young people and lowering the voting age to 16. Candidates have to sign up to at least 6 of the pledges to support the campaign. In a similar way to AGE Platform’s campaign, Love Youth Future aims to make the next European Parliament youth-friendly. We are asking candidates to commit to creating an EU where young people have access to jobs, quality education and free movement in a Europe where they define their own future. It is clear that Europe-wide problems, such as job security, unemployment, need Europe-wide solutions. Right now, the rights of Europe’s young people can be best protected through action at European level. We welcome the fact that 240 MEP candidates from every EU Member-State have signed up to our LoveYouthFuture Pledges and have supported the campaign. There are many agreements between the Pledges and the AGE manifesto “Toward an Age-friendly European Parliament” – including working for a comprehensive Anti-Discrimination Directive, that explicitly rules out discrimination based on age. We look forward to working with AGE Platform Europe to advance our joint priorities in the new Parliament.